We would love to hear from you. Our church has a strong emphasis on prayer and we offer you our help in asking God for answers to your problems. If you fill in the e mail form below we promise to add your request to our daily prayers. All you need to do is tell us what you would like us to pray for (your permission is required for us to do this in accordance with GDPR privacy laws) and also let us know if you would like us to contact you back. We will not contact you unless you ask us to. If you use the form below please add your name and e mail address as well as the prayer request or comment. 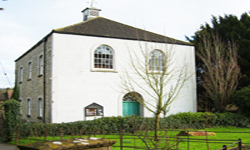 PLEASE NOTE THAT YOU ARE CONTACTING KINGSWOOD WOTTON UNDER EDGE CONGREGATIONAL CHURCH.